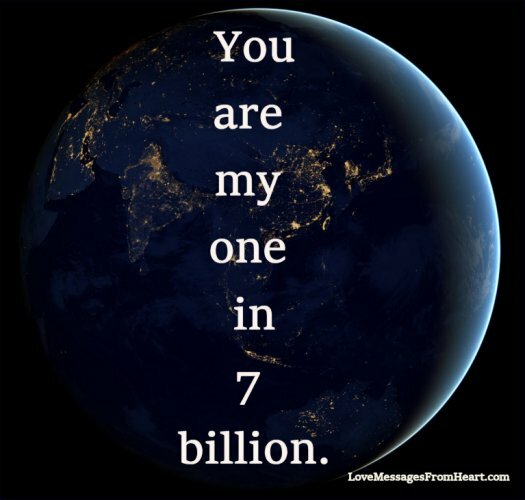 You are my one in 7 billion. You are my one and only love in the entire Universe. You and I together, our souls united as one. You are my dream, you are my love, you are my life. There is nobody like you on this planet and I never want to be away from you. Among thousands of millions of people, I am so lucky to have found you.